Metro Sixers returned to the Basketball Spotlight circuit this year and made a serious impression. Brandon Slater played the wing and was a major factor. He specialized in shooting the trey ball and finishing on the break. 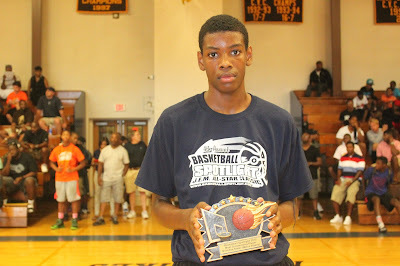 His play helped them win the AC Showcase and take home the Basketball Spotlight 7th Grade Most Outstanding Player Award. Basketball Spotlight would like to congratulate Brandon and wish him the best in the future.